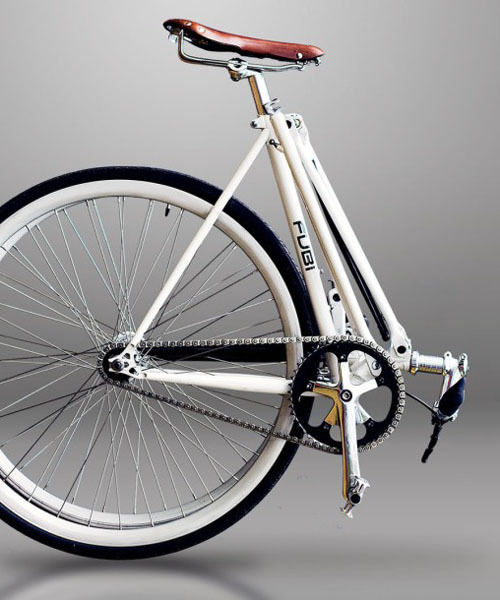 the fubi ‘fixie’ looks like most bikes, but folds up in seconds with the same features and design as a traditional bicycle. 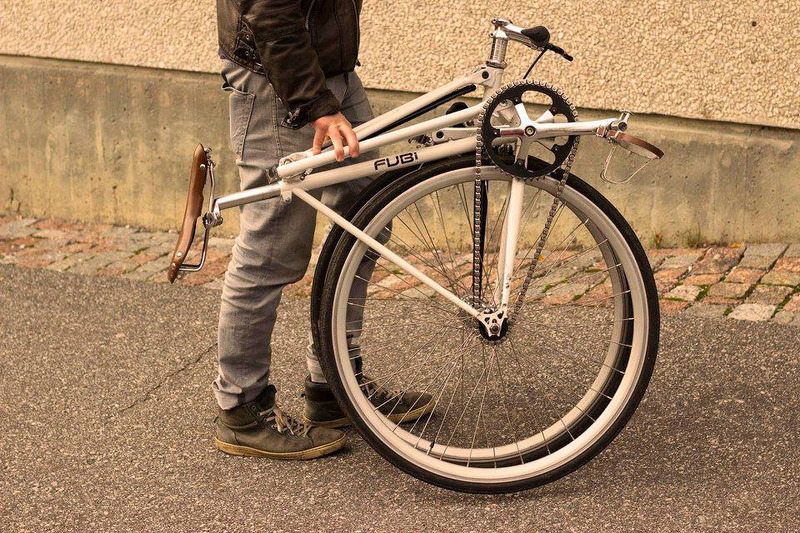 the idea with fubi’s ‘fixie’ folding-principle is to keep as much of the traditional diamond bike frame as possible. this allows cyclists to transform their existing full-size bike into a folding bike, without sacrificing riding performance and looks. 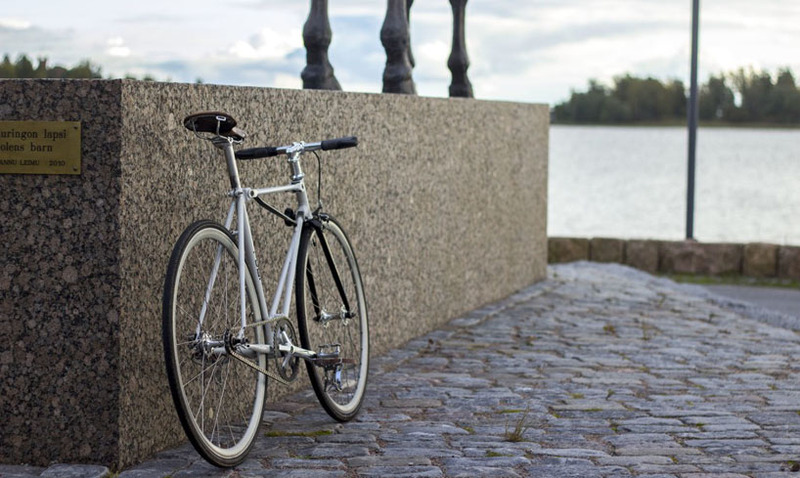 fubi’s ‘fixie’ is a full-size folding bike with the same looks, price and riding features as a ‘normal’ fixie / bike, yet can be folded with ease for convenient transport and storage. 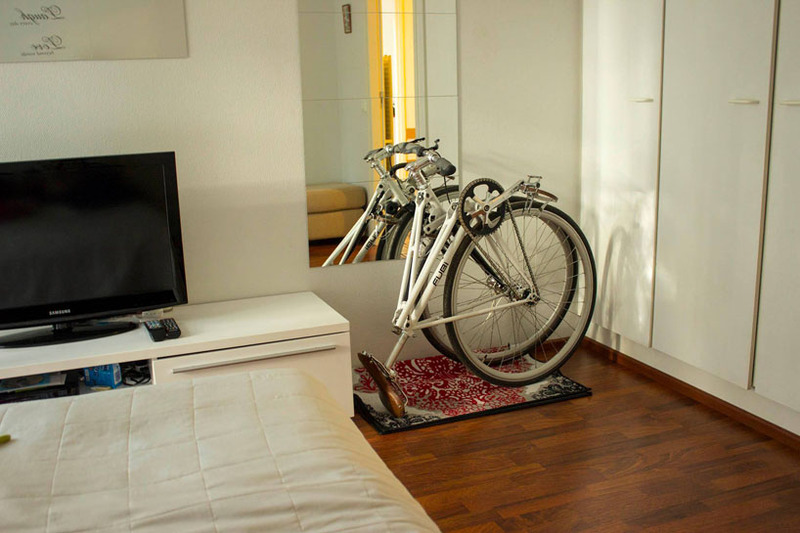 the bicycle fits folded in elevators, metro, bus and in most cars. it has full-sized 700c wheels. 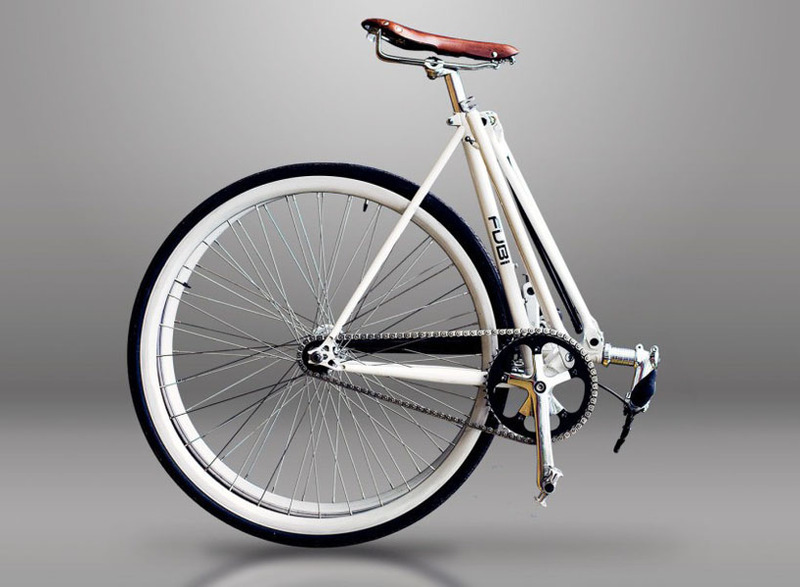 the bicycle can be folded and unfolded simply in 5 – 10 seconds without having to use any tools. when used as a fixed-gear it rolls on the front wheel when folded, and if used as a single gear (with freewheel) it rolls on both wheels. the ‘fixie’ has fubi’s patented frame technology that utilizes the triangular-principle, in order to have a very rigid and light frame. the frame is built by using 4130 chrome molybdenum steel tubing. the folding system allows riders to lock fubi in a more secure way. it can be locked around a pillar with front wheels, frame and pillar all locked together with a U-lock. the bikes have each come with a front and rear brake and a flip-flop hub. 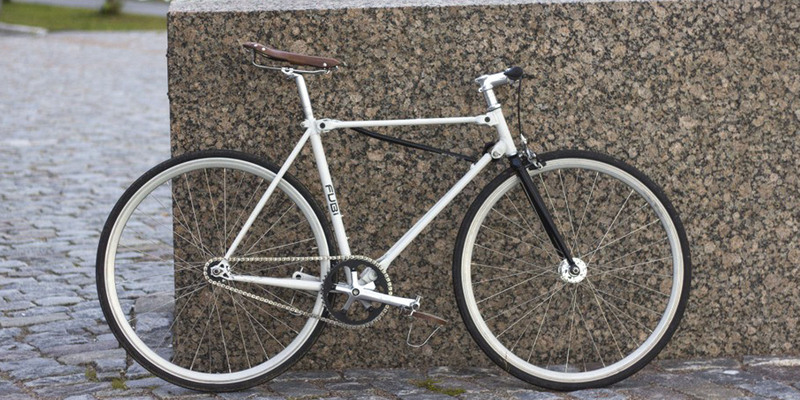 the bike can be used as a single-speed, or fixed-gear bike, by turning the rear wheel around. there is also a 3-speed ‘freewheel hub’ option. 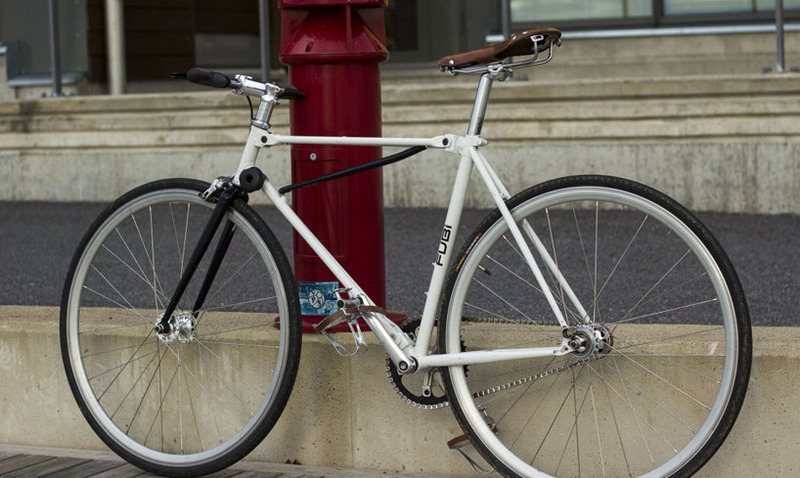 fubi’s ‘fixie’ is reaching out for funding via its kickstarter campaign, which can be viewed in detail here.